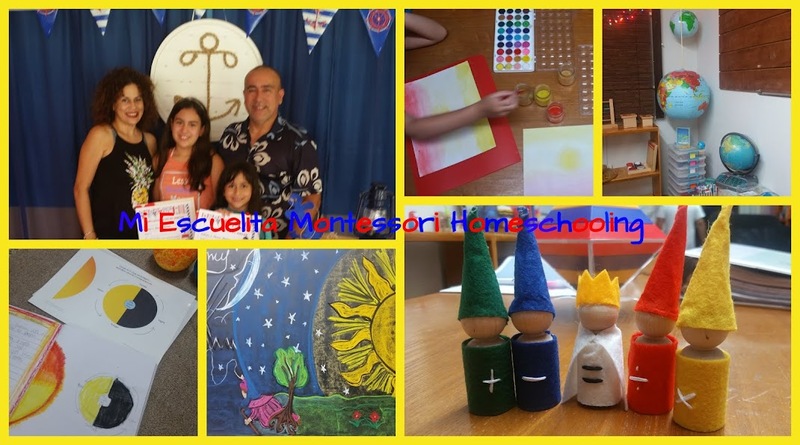 Mi Escuelita Montessori Homeschooling: Que hay de nuevo en las tablillas?? / What's new on the shelves?? Que hay de nuevo en las tablillas?? / What's new on the shelves?? Ayer estuvimos limpiando, cambiando, removiendo y anadiendo trabajos nuevos..... vean....!!! Yesterday, we clean, change and added some new works on our shelves.... take a look!!! En la 1era tenemos las Cajas de colores #1, #2, #3, los sólidos Geométricos, rompecabezas de los sentidos, y el Bionomial Cube. En la 2nda tenemos la Caja #1 de los triángulos contructivos hechos en casa, los cilindros de perilla y figuras para patrones de Melissa and Dough. Al lado un Geometric Stacker, no se como decirlo en españo, y aunque lo tenemos hace mucho, hay una columna que todavía no la trabaja como yo quiero, asi que no lo voy a quitar!!lol. Las varas largas y la Torre Rosada. On the first one, we have Color Boxex 1-3, Geometric solids, 5 sences puzzle and the Bionomial Cube. 2nd Box #1 of the Homemade Constructive Triangles, cylinders, and patter and shapes of M&D. 3rd Brown Stairs, Geometric Cabinet, Knobless Cylinders. At the side, Geometric Stacker, Long Rods and the Pink Tower. 3. Small rods, un trabajo de "count and counters" nuevo, (lo voy a presentar en mi proximo Montessori Monday), El Bead Stairs, y los Teen Boards con un cofresito con sus beads. 1. Bead Decanomial, M&D Abacus, The clock, and the Stamp Game. 2. Decimal Golden Beads, Sand numbers and the Spindle Box. 3. Small rods, Flowers pin counters, Bead Stairs and Teen Boards with beads. 1. Alfabeto Movible, rompecabezas de letras en foamy, Constructor de letras, letras en lija y Cajita de arena. 2. Pink Series objetos-palabras, Tarjetas de alfabeto, rompecabezas de alfabetos (may- min, separadas) un Bingo de I spy, Un bingo letras en Espanol!! 1. Mobile Alphabet, foamy letters puzzle, letters builder, sand letters, and sand box. 2. Pins series objects-words, Alphabet cards, Alphabet puzzles (both) I Spy bingo, and a Spanish Bingo. 2. Mapas: Estados Unidos, Puerto Rico y sus banderas. Atlas Mundial y Trabajo Little Einsteins. 3. Ninos alrededor del Mundo (rompecabezas), Atlas de ninos, Mapa del Mundo y nomenclatura. 1. The World Globe, Professions Puzzle. 2. Maps: USA, Puerto Rico and the flags, World Atlas and the Little Einsteins work. 3. Children around the world puzzle, Children Atlas and World Map with nomenclature. 1.Caja con animales de diferentes habitats, lupa, rompecabezas (concreto) pez y caballito de mar, Gabinete Botanico (estoy trabajando nomenclatura para anadirla), Tarjetas de alimentos y librito de insectos. 2. Rompecabezas anatomia (no esta, pues ella lo estaba trabando! !LOL), Delantal de Anatomia, Todo acera de mi (rompecabezas) y Magnetos- No magnetos. 3. Rompecabezas Insectos, Dentro del Mar, Canastas animales: Salvajes, Marinos, Granja e Insectos, Los tres elementos, y la Creacion. 1. Box of Animals cards from different habitats, a Concrete puzzle of a Fish and Sea horse, Botanical Cabinet (I'm working with an Elementary Nomenclature to added), Food cards and a little book of Bugs. 2. Anatomy Puzzle (the Beleduc one, she working with it at the time of the photo!! ), Anatomy Apron, All About me puzzle, And Magnetics. 3. 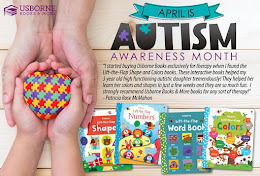 Puzzles: Bugs and Under the Sea, Boxes of Animals: Wild, Under the water, Farm and Bug, The three Elements and the Creation. Demas esta decir que tu salon esta ESPECTACULAR! Tienes mas materiales que una escuela Montessori. Me recuerdas que tengo q darle la presentacion de Magnetico/No-Magnetico ya que estan a punto de perder el interes en el material. Me encantaron los materiales. Bellos! No tienes algo del Sistema Digestivo??? I love the way your shelves are set up. I am bookmarking this post as reference for our Montessori room. How often do you change out some of your activities? Wow, im impressed. 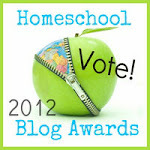 Your homeschool room really looks like a classroom! Your girl is very fortunate! Karen, it's b e a u t i f u l! Your materials are so nice, and you have so many materials! Thank you Girls!!! for your nice and kind comments!!! I always knew before get pregnant, that I want to homeschooling!! and when I got pregnant (the 1st time) I start to buy EVERYTHING that I know I can use in our future school...(I didn't know by then that I'll choose Montessori Method) That's why you see a lot of materials! !lol (But don't get the wrong idea, EVERYTHING was on sale! !lol exept Montessori Materials!! Julie, The classic Montessori items, I let them on the shelves, the other things or works that I prepared, I usually change them in a week... Antes de que la aburran!! !lol, There're some works, like puzzles for example, that I just CAN'T MOVE!!! she just love them!!. But the other works, and her toys, I change them in week or week and a half. Thank again, for been my bloggy friends!!! Big Hugs from Puerto Rico!!!! Eve, te estoy buscando lo del sistema digestivo!!! se que tengo algo!!! Karen, just beautiful and SO helpful. I really liked how you stored the teens board in a little basket and how you set up the little animal boxes. Do you have your daughter help you when arranging the room? I know that when I re-arrange things the kids become VERY interested in EVERYTHING! Thank you Gigi!!! So glad this help you!! !, YES I let my princess help me, you're right!!!! she's getting so interested in EVERYTHING!! and she ask, and get very excited for the next day!!!lol... and she know exactly the order of the works that she will use next day!!! so cool!!! Besides she help me to clean the shelves, and besides that it's a practical life work, she's so proud that she clean her classroom with momy!!!! WOW!!!!! Everything looks amazing!! Great job, Karen!! Dia de Juegos!! / Play Games Day! !